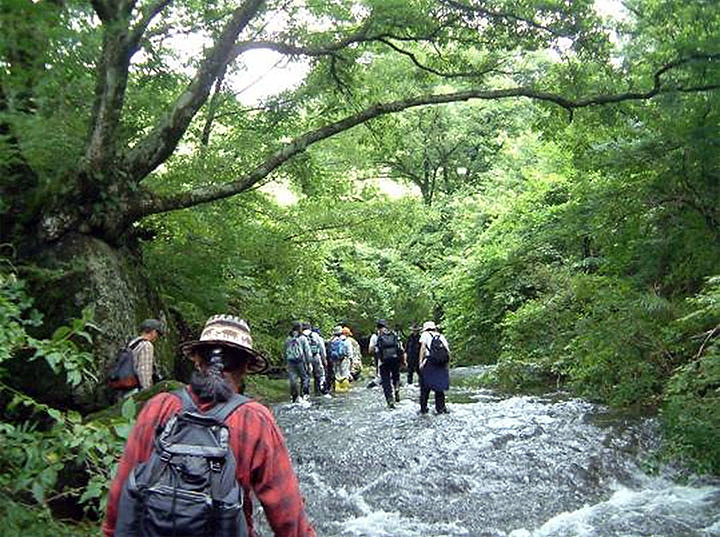 Aso Geopark is a member of the Global Geoparks Network. Huge volcanic eruptions leave their mark in the form of calderas. These landforms are found throughout Japan and many other countries, but Aso is one of the world's largest, and is further distinguished by features such as its beautiful walls and the stunning views of the entire caldera landscape. Traces of Aso's eruption remain not only in the immediate region but also in many other parts of Japan; if an eruption of a similar scale occurred today, the impacts would be almost unimaginable. 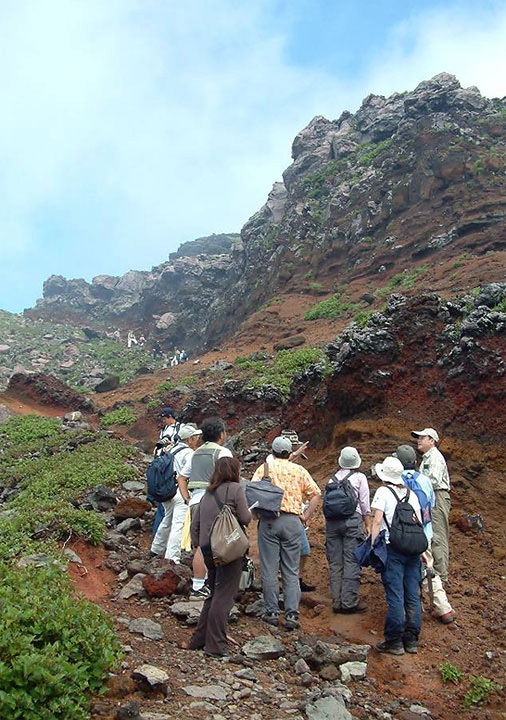 Aso Geopark gives visitors a visceral sense of the scale of the event that so dramatically changed the landscape and created the caldera. Located in the center of the caldera, Mt. Nakadake is a still-active volcano that embodies Aso’s traditional name of Hi-no-Yama, or “Fire Mountain.” Even 14 centuries ago it was drawing international attention: Aso appears in the Book of Sui, a seventh-century Chinese history text, which is the first mention of a Japanese mountain in the literature of another country. During safe periods, visitors can stand on the rim of the crater and peer directly inside. Emissions of poison gases are constantly monitored to protect residents and visitors, and each year approximately a million people from around the world come to observe first-hand the scale, color, smell, and deafening roar of the volcano. What they experience is not only a geological phenomenon, but the very heartbeat of the earth. Mt. Nakadake’s emissions and gases have created a unique landscape, as volcanic activity continues to reshape the inside of the crater and the surrounding area. 活Humans have long made their home on the plains surrounding the active volcano and the plateau beyond the caldera rim. Today approximately 50,000 people live inside the caldera, and both rail lines and highways cross it. 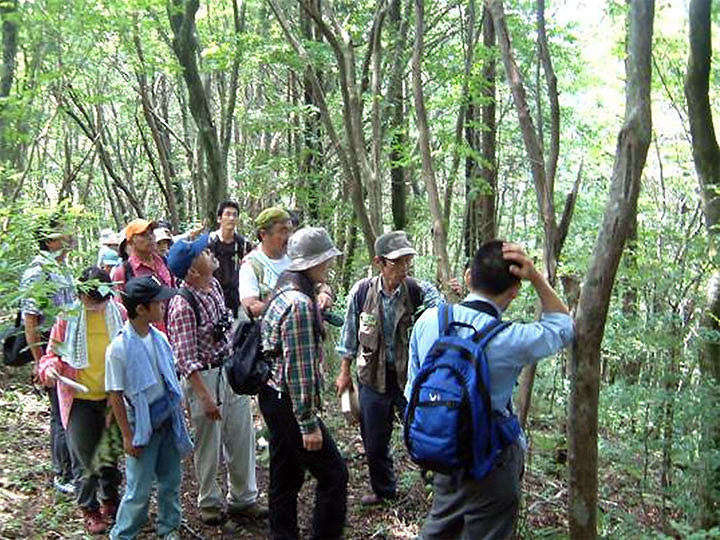 One of the most valuable elements of the region's heritage is its vast grasslands, which are the largest in Japan and have been maintained for over 1,000 years through burning and grazing. Rich soil developed through volcanic activity and abundant rains lay the foundation of life for approximately a million residents of local towns and the neighboring city of Kumamoto. The god of the volcano is enshrined at Aso Shrine, which also presides over local agricultural rites; the shrine's history reaches back over 2,200 years. For even longer than that, people have been living within the volcanic landscape and negotiating a relationship with the eruptions, landslides, and other disasters it periodically brings. Today’s residents recognize that Aso is an irreplaceable and extremely valuable resource. The geopark is a tool for both conserving that resource and using it as a source of local development. Spreading awareness of the geopark at the international level will add value to the Global Geopark Network while also contributing to sustainable community development.